EME is backed by a group of experienced regional and international investors that share our passion for pursuing sustainable growth and strong returns in emerging markets. Together, we contribute to economic growth in Myanmar, one of the most exciting frontiers in Asia. ​EMGH is a Singapore-registered holding company with private equity and consulting arms, both committed to supporting innovative, transparent and sustainable businesses in Southeast Asia. UMJ Incorporated is one of the oldest hedge funds in Japan and has US$800m under management. Through UMJ's hedge fund incubator, it has helped launch a number of successful funds. UMJ Ikeya Investment Ltd. is one of the leading Myanmar-focused venture capital firms. It was founded by Hitoshi Ikeya, a Japanese-Myanmar national, and United Managers Japan (UMJ). Dr. Wong has over 20 years of experience in the financial sector in Asia. He has a combination of macroeconomic perspective and operational roles on-the-ground, especially in risk management and investments. His area of geographic expertise is Southeast Asia, especially the frontier Indochina economies. 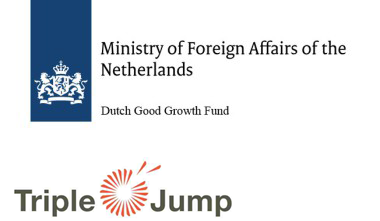 A consortium consisting of Triple Jump and PwC is responsible for managing the part of the Dutch Good Growth Fund (DGGF) that provides financing for local SMEs in up to 66 selected countries through investing in Intermediary Funds. The consortium manages the DGGF on behalf of the Dutch Ministry of Foreign Affairs.